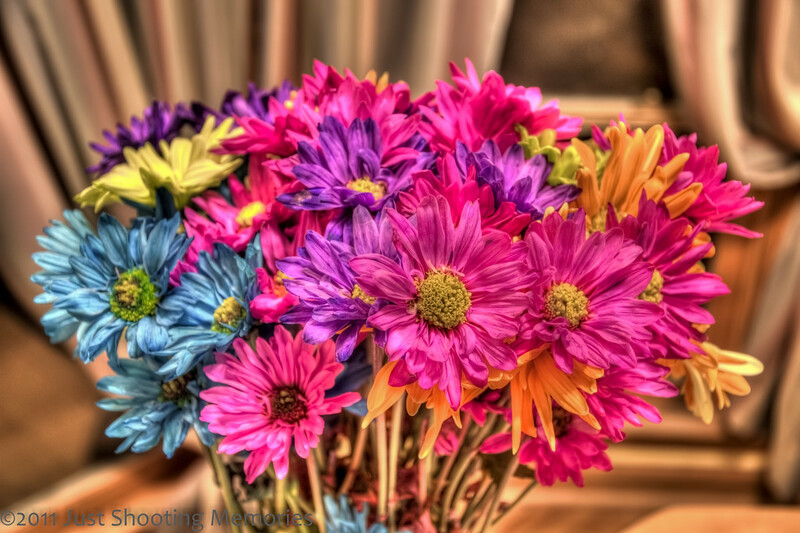 Birthday Flowers | Just Shooting Memories! Let’s try this one again. I don’t know what was going on with Flickr. In fact, I am debating getting a SmugMug account. Any pros and cons? Have you ever taken a photo that you did not remember. I was looking through the archive the other day when I ran across this. These were flowers which my children gave to Mommy on her birthday. After seeing the photo, I began to vaguely remember the circumstances surrounding this photo. Sometimes, you can end up in some interesting spots just to get the shot you want. This one I happened to be standing on the table with the tripod to get it just right.